As many investors learned the hard way during the Great Recession, there are significant risks involved in stock investing and real estate investing. Each has its advantages, including the ability to generate passive retirement income when done properly. Yet, ultimately, real estate investing holds some significant advantages over stock investing that can make it a much better investment, especially during down markets. Whether you choose to invest in stocks, real estate, or both, you’ll need to do a great deal of research or pay people to do it for you in order to make the best decisions on where and when to invest your money. Yet, even when you conduct due diligence, your investments can go bad for many reasons that are beyond your control or foresight. Market fluctuations are especially dangerous when investing in stocks, where a bankrupted company can wipe out your entire investment in it. When you invest in real estate, you have an actual hard asset that holds at least some of its value, barring a catastrophic event or other mishap that destroys its value. The building itself and the property upon which is stands retains value, so long as you maintain it properly and pay your taxes. And your property insurance will protect you against a variety of risks, making it an insurable investment. By contrast, you have virtually no risk protection when you invest in stocks. As an old saying goes: Trust, but verify. When it comes to stock market investing, ultimately, you must trust the quarterly and annual federal and state filings required of companies to sell shares. Yet, those reports often times are riddled with falsehoods designed to artificially inflate share values. Fortunately, most companies abide by federal reporting laws and are honest, but SEC regulators continually punish and prosecute publicly traded companies for filing false reports and making false statements to investors, who, ultimately, have no way to verify the reports. When you invest in real estate, however, you have many ways to verify the value and economic prospect of a property before you invest a single penny. Local public records can ascertain tax payments and amounts, assessed property values, selling prices, any encumbering liens, inspection reports, and other valuable information. You also can hire an independent real estate appraiser to inspect a property and verify its value, whereas in the stock market, you ultimately must trust company reports. A big advantage real estate offers is the ability to finance your initial investment to generate greater long-term returns. Because the property has a relatively steady and quantifiable market value each year based on the property value and anticipated rental income based on its rental history that you can use as collateral, banks and other traditional lenders are more willing to underwrite reasonably affordable loans to help you buy real estate investments. 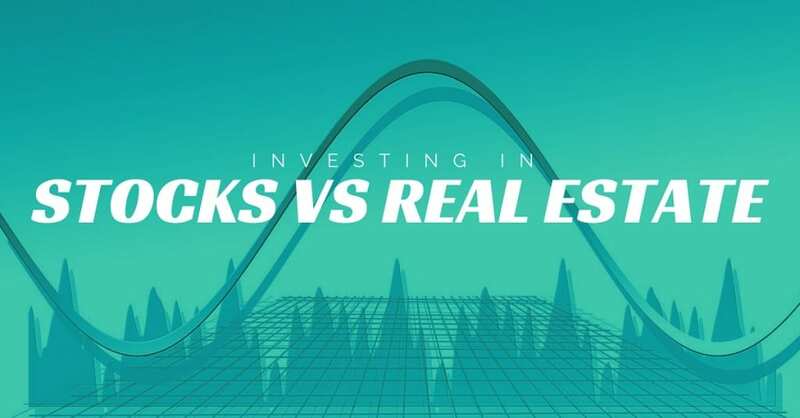 By contrast, it is possible to engage in margin trading of stocks, but it is a much more complex, difficult, and far riskier investment than financing your real estate investment. The greatest benefit real estate investing offers is steady monthly income while building long-term equity and value. While some stocks pay dividends, real estate produces rental income the moment the first renter makes its first payment, and you can anticipate that income each month based on rental occupancy. Regular, predictable, passive monthly income makes real estate investing a wonderful alternative to stock investments, which typically require long-term growth to obtain a significant return. When you are retired, passive rental income bests stock investments. Turnkey real estate investing is a great option to include in your retirement portfolio. What turnkey basically does is enable you to leverage the experience and attractive market turnkey investment companies provide. They manage the entire process from property purchase, renovations, property rental and management. They do the heavy lifting while you build monthly cash flow and property equity. For more information on investing in turnkey rental properties, click here.